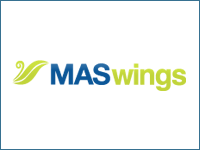 Malaysia Airlines sister airline MASWings issued a statement today that one of their flights, MH3434 was involved in a minor accident at Bario Airport. According to the statement a MASwings Twin Otter aircraft, operating flight MH3434 from Miri to Bario, landed safely in Bario airport at 09.30 hours this morning. Whilst taxiing from the runway towards the terminal apron, its right main wheel rolled into soft ground towards the end of runway 11. Despite the incident, MASWings assured that all passengers and crew are safe and unhurt and there is no damage to aircraft. The statement also said that MASwings had sent a team of engineering to inspect the aircraft before giving it permission to continue its services.